...First we excavate about 4 feet into the ground to determine if we will encounter rock, water, or any impervious soils. We evaluate the excavated soils to determine the following: Soil type, moisture content, and ability to be used as a percable soil. Plus to see soil depth for foundation and septic tank. ...Percable soils allow liquids to pass trough them. You need 2 feet of percable soil above any rock, water, or any impervious soil. When the above criteria are met it is time for the Perc Test. Another hole is excavated to the top of the proposed percable soil. This hole is then pre-soaked with water. After the water drops about half way the hole is then refilled to a predetermined height. ...We let the water drop 1 inch. ...The time is takes to drop 1 inch is called "PERC RATE". 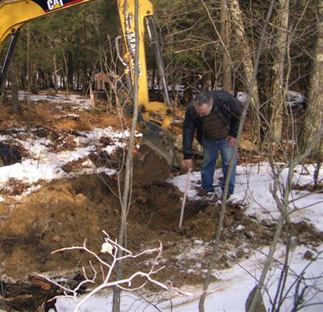 ...You need a 1 minute to 30 minute perc rate to be acceptable for a conventional septic system. 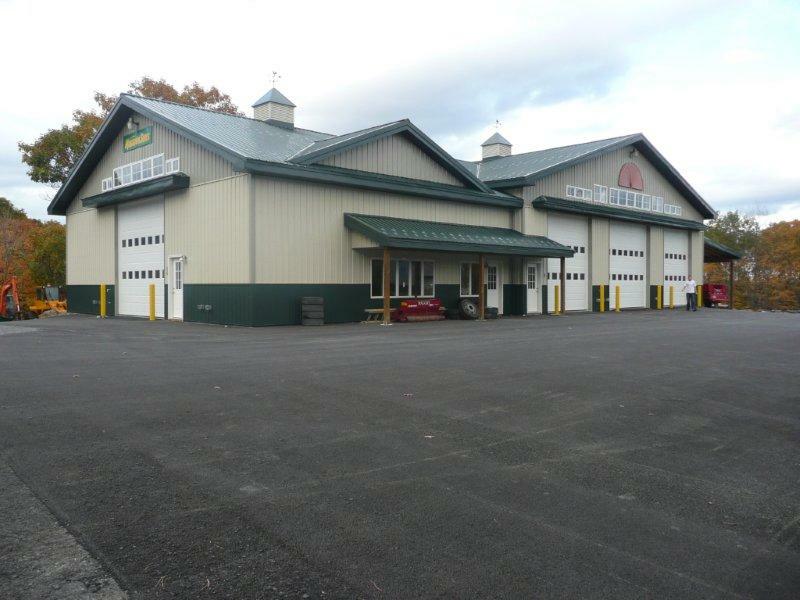 Our goal is to meet your budget while designing and installing an affordable septic system for your particular home and home site characteristics. 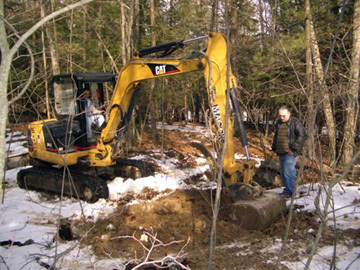 Maggio and Sons will handle your complete “New Home Sites”, from Landclearing to finish landscaping and everything in between, such as excavation, foundation, and even your driveway.